Three bus loads of paramilitary policemen from Kitwe’s Kamfinsa training school have been transported to Solwezi with instructions to beat any opposition cadres there. Each bus was carrying over 80 officers while others used Toyota Landcruiser vehicles. And by yesterday some cadres were ferried from copperbelt towns after being paid about K500 each to pose as defectors, while locals were being paid K50 each to attend functions to be addressed by President Edgar Lungu during his stay in the area. 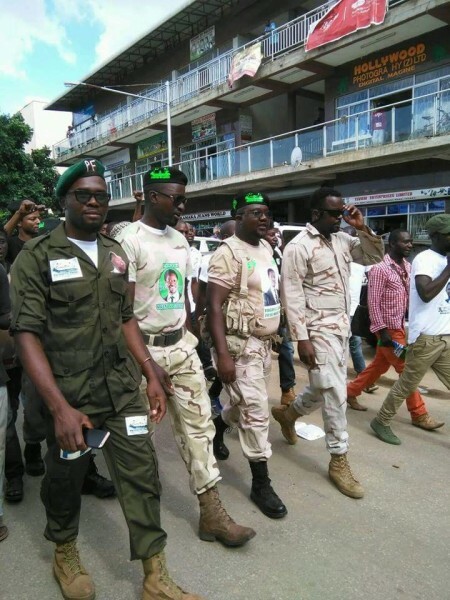 A source from Kamfinsa disclosed that some recruits and other officers were ferried so that they can beat any locals who may boo the president as it happened last year. “You know last year the President was booed there so they paid some cadres from copperbelt who will pose as opposition members and even stage a defection there. But if there is any booing by locals then these guys from here will do the works,” he said. Lungu is also expected to meet the council of elders, some traditional leaders and also commission a shopping mall. He will also address a rally at which hired ‘defectors’ will be paraded. During his ongoing campaigns he is also expected to travel to Mwinilunga before returning to Lusaka.